We talk with the guys at Crimson and Cream Machine ahead of Saturday’s game in Norman. Ah Bedlam...The game that football fans across the state of Oklahoma look forward to every year. This is always a big game that’s a lot of fun. I chatted with Jack Shields this week to get some insights into this OU team, as well as discuss his favorite memory of Bedlam. 1. )What is your favorite memory of Bedlam? That’s a tough one, but I’ll go with the 1999 game in Norman. Prior to Bob Stoops’ arrival, Oklahoma State had won three of the past four Bedlam games, so I had experienced plenty of ribbing at the hands of my OSU friends during my elementary school days. OU ended up winning that game by a score of 44-7, and I think that was probably the only time I’ve ever looked forward to a Monday. 2.) 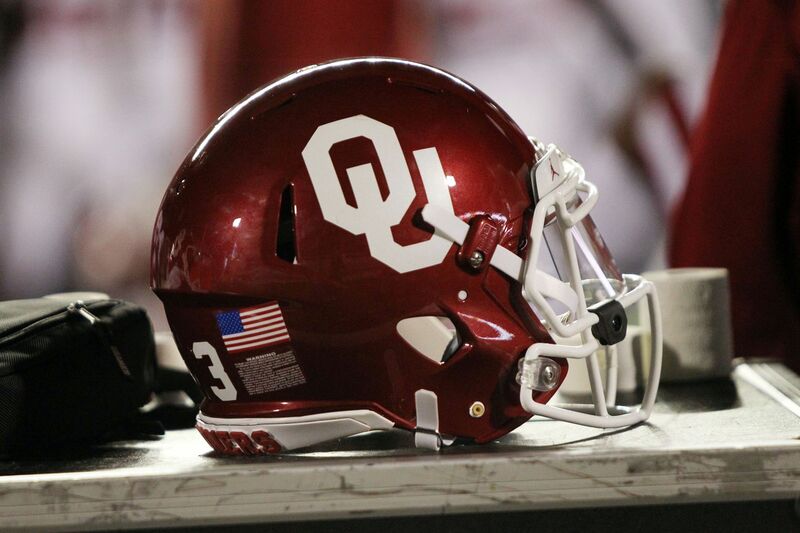 What were your initial thoughts on the firing of Mike Stoops? It’s something that needed to happen, but I have to admit that the timing of it caught be a bit off-guard. Having said that, it was definitely relieving. As a fan, if felt like a fresh start for the program. On a personal level, I knew that my days of having to write about him were coming to a close. 3.) Since Stoops has been gone, what have you seen in the OU defense that you liked? Didn’t like? Ruffin McNeill has made a concerted effort to simply things, which is exactly what Oklahoma needed in the short term. It’s clear that these guys are playing more instinctively as a result. Additionally, his personnel decisions have been refreshing, as he’s favoring the guys with the most upside at their respective positions (cornerback Tre Brown, safety Robert Barnes, defensive end Ronnie Perkins and DE/OLB Jalen Redmond). There really haven’t been a lot of negatives, but one thing that stood out this past week was the big cushion between the corners and receivers – particularly early in the contest. That’s something that drove OU fans crazy during Mike Stoops’ tenure, as it allows offenses to dink-and-dunk you to death if done too frequently. 3.) Oklahoma has had some issues at running back this season, what kind of role do you think that plays in Saturday’s game? Oklahoma’s early-season struggles had much more to do with the offensive line’s progression than it did the personnel in the backfield. Sure, losing a transcendent athlete like Rodney Anderson’s obviously didn’t help things, but the OL was experiencing some issues with chemistry after some offseason position changes. Bobby Evans moved from RT to LT (which isn’t an easy transition), Cody Ford moved from guard to RT and Creed Humphrey was starting at center as a redshirt freshman. That unit is now humming along, and so is the run game as a result. OU has rushed for 323, 322 and 323 in its last three games. Needless to say, most people aren’t too concerned with where things stand at the moment. Having said that, the losses of Rodney Anderson and Marcelias Sutton have OU down to three scholarship backs at the moment. What OU has going for it is that those three happen to be quite talented, and the group is led by a guy – Trey Sermon – who is more than capable of carrying the load. This is a tough one because OSU’s skill-position players are so talented, but the offensive line’s issues are still visible. If OU is able to get consistent pressure on Taylor Cornelius, it could get out of hand early. I have a feeling that Tylan Wallace & Co. are going to make some plays against the OU secondary whenever CornDog does have a clean pocket. That will probably happen from time to time. Justice Hill has obviously done some damage to OU in the past and is never to be taken lightly, but one positive sign for the Sooners is that they’ve done quite well against some really good running backs this season, as they’ve held David Montgomery, Devin Singletary, Alex Barnes to under 100 yards apiece and well under their average yards per carry. I think OU’s defense will get enough stops to keep this one from being particularly close. I have OU coming out on top by a score of 48-24.